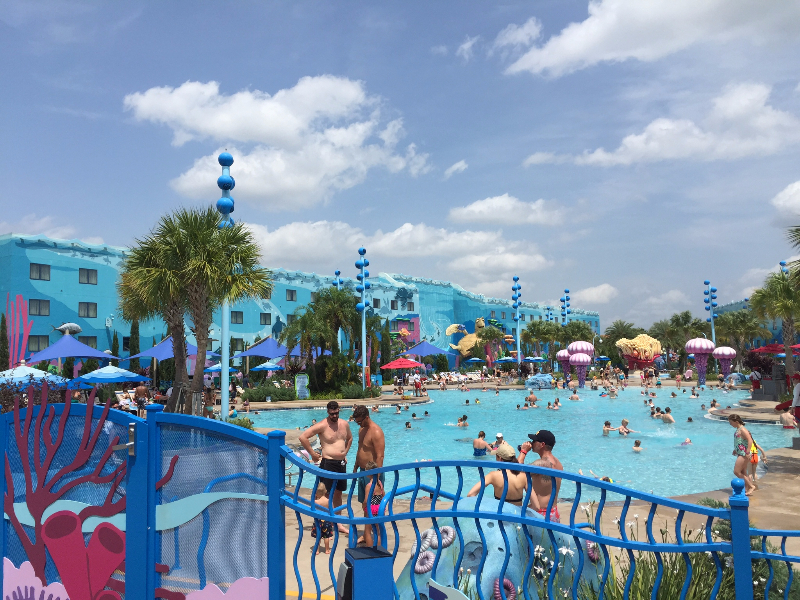 Recently we did a podcast on an overview of the swimming pools at Walt Disney World resort and one segment that seems to be what I field a lot of questions about and see a lot of confusion about online is pool rules and etiquette. There is a lot of misconceptions about things like pool hopping and what quiet means for quiet pools. So, I thought I would break it up for you and share with you what the info is about Walt Disney World pools as of today. I have to add that as of today because with everything Disney, all information can and will change! Common Question: My child is still in diapers. Can they still use the main pool? Sorry but No, but yes. As is no not in diapers, but any child (even an infant) can go into the Disney pools wearing a swim diaper. Many children may be right on the cusp of needing one, err on the side of caution. This is for everyone’s benefit plus Disney is tiring and overstimulating and do not let the kid make an accident that makes a problem for everyone! Do I need my magic band to get into the pool area? Yes, more and more resort pools are requiring and checking magic bands, so bring it with you – they are water proof – and you may have a pool that requires them to enter, has someone checking them while you are there or you want to go back at some point to your room (since they are your key to your room!) So, bring the beautiful magic bands so you do not have to worry about anything but relaxing! I want to try other resort pools? Is that allowed? 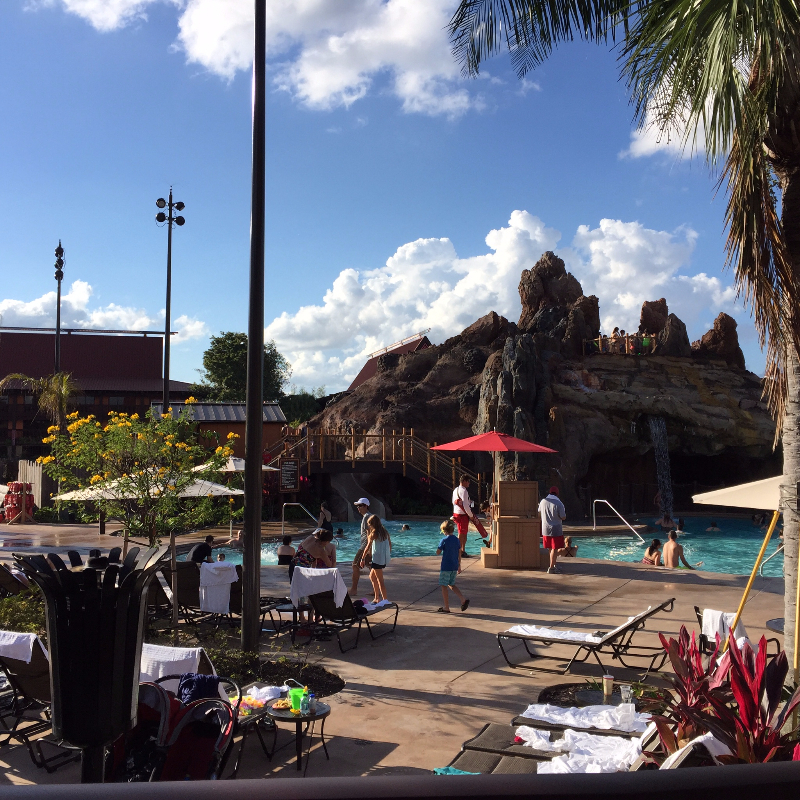 DVC Members can hop to the pools at other DVC resorts. Note that there are many blackout dates and sorry but Stormalong Bay (at Yacht and Beach) it is never open for pool hopping! 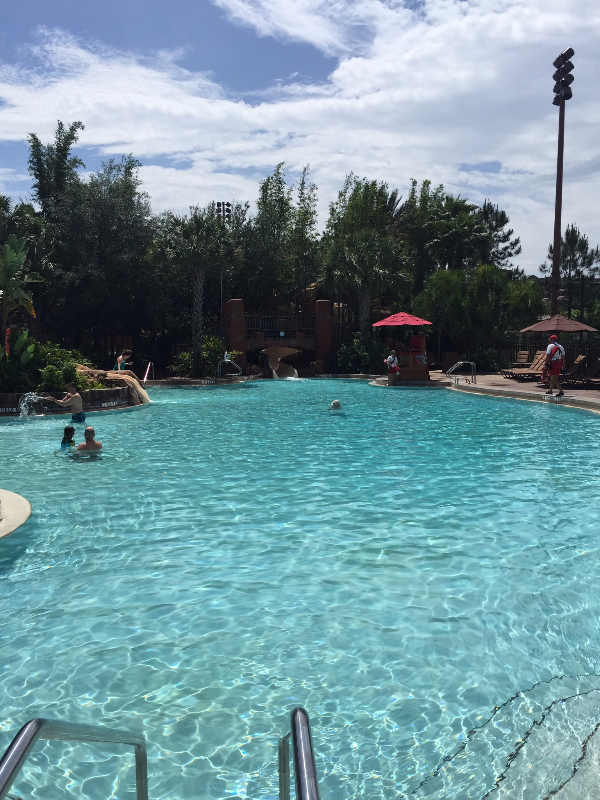 Unfortunately, neither are the pools at Animal Kingdom Lodge so you will just have to trust us that these pools are the bomb so book your next stay there! If you are staying at an All Star Resort you can use the pool at any of the All Stars. 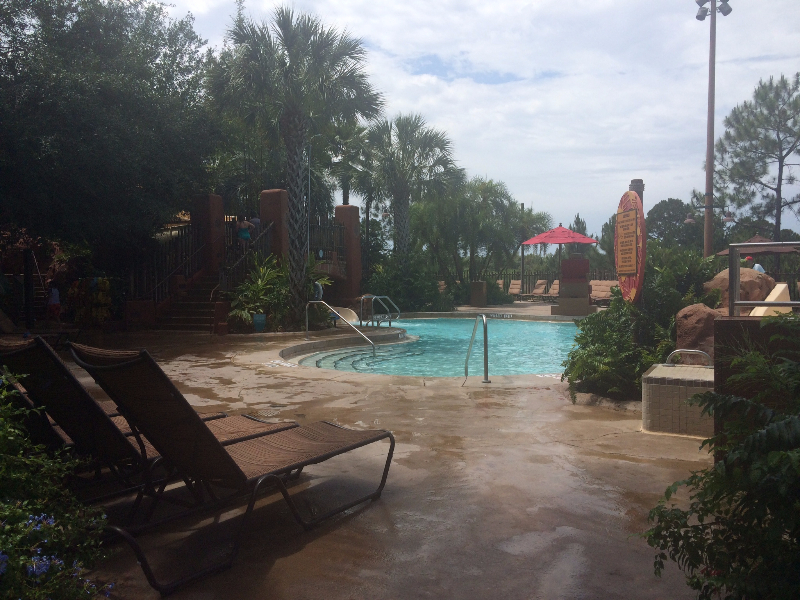 Staying at Port Orleans Riverside or Port Orleans French Quarter? Well go ahead and hop over to the other one and swim away. If your main pool is closed for maintenance, they may let you use a pool at another resort – but they will tell you – so do not just assume! Also, there are no pool-hopping privileges between the Pop and AoA. Many think so, but no stay at your own resort! Pools are open all year round. All pools are heated to 82 degrees so even on a rare cold day at Disney you will see kids playing as parents huddle and blow on their coffee to keep warm. Pool Hours minimum 9a-9p but one pool per resort is usually open longer hours. What is a quiet pool? Are my kids allowed? 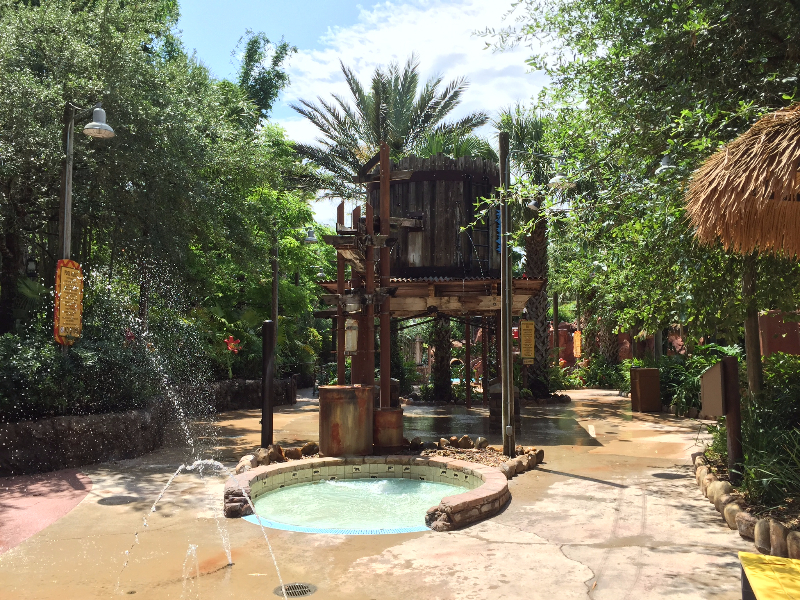 Quiet Pools – Every resort has a “main pool” where the fun, games, themeing, and action happens. That’s the place you can hear from all corners of the resort. In addition, many resorts have what is called a quiet pool. The name does not quite fit the actual use of the pool. You do not have to be quiet, kids are welcome, and I have seen a few more racous groups hang out there because it is easy to find space there! Rules limit mainly activities like games or music. Lifeguards are not typically found at quiet pools so please be extra vigilant. Zero entry can be helpful for guests with mobility issues because they can roll their (waterproof) wheelchairs directly into the water. So that is a small bit of info about the Disney pools. The swimming at Disney is a HUGE part of so many families vacations it is important to know before you go so everyone is safe and happy! What is your favorite pool?